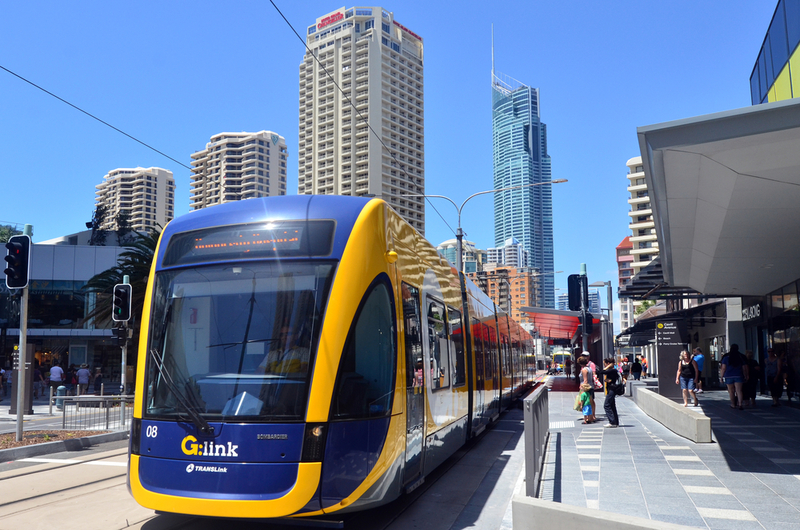 We love using the G-link light rail services on the Gold Coast because it’s so easy! A short stroll down the road from Sphere Apartments and you are at the station of the Gold Coast’s most advanced public transport service. The trams are now arriving so frequently and it’s great to not have to worry about parking. Catching the tram to work provides a great window of opportunity in the mornings in which you can have a coffee, read a book or get ready for the day. With a punctuality rating of 99.99% for the month of July you can be sure you’ll be arriving to work on time and not getting stuck in traffic. The Government recently announced that they are considering and investigating potentially extending the light rail service further South to Burleigh Heads, as well as looking at providing a connection to the train lines to Brisbane.